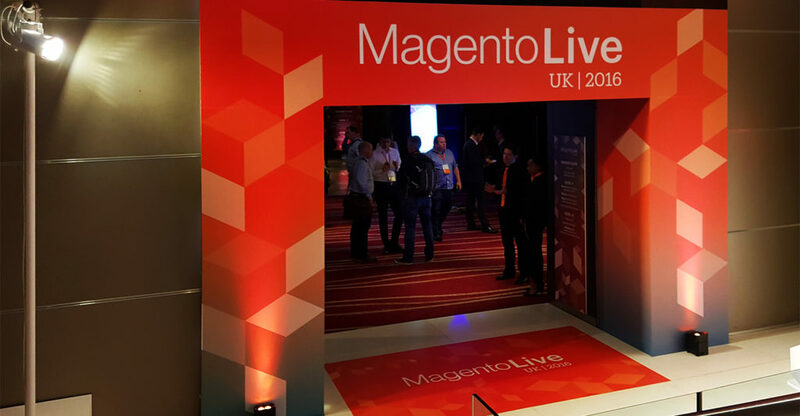 Magento Live UK was a buzzing hectic knowledge-packed two days held at Park Plaza in London on June 20th and boasts the largest audience for a Magento event in Europe. This was our opportunity to hear from the top dogs at Magento about future trends in eCommerce, innovative case studies and the growth and collaboration of the community. Did you hear Meet Magento are now official partners to Magento… BOOM… you have now. There simply isn’t any way of writing this article that will give this experience the justice it deserves. On top of hearing about Oliver Sweeney and Redbox being the first brands to adopt Magento Enterprise Cloud Edition and the excellent work Vaimo and Brown-Forman did to tell the story of Jack Daniels targeting a more youthful audience on mobile… and breath… we’re still trying to wrap our heads around the entire omni-channel experience created by AOE for Frankfurt Airport. Watch this video and tell me your mind’s not blown away. Trying to recall the details of this event is like coming off a rollercoaster trying to remember the corners that scared you most, likewise with rollercoasters you come across a few images posted online after the event and think ‘I can just about remember that’. Magento enthusiasts were first treated to Hillary Corney (Magento U Business Architect) discussing effective strategies and best practices for gathering requirements, Eric Erway (User Experience Design Manager at Magento) discussing how Applying Design Thinking can help optimise your website and further talks addressing Key Insights into Development Design Patterns for Magento 2, DotMailer showcased 10 Revenue Driving Email Programs and finished with a panel discussion around B2B eCommerce Success… and that was just day 1. Having gone through the equivalent of 8 rounds with Conor McGregor (mentally I assure you) we were on our feet with the same eagerness as a floored boxer for day 2. First up was the Solutions Spotlight, an interactive session in which pre-selected sponsor participants presented an elevator pitch about their product or services. 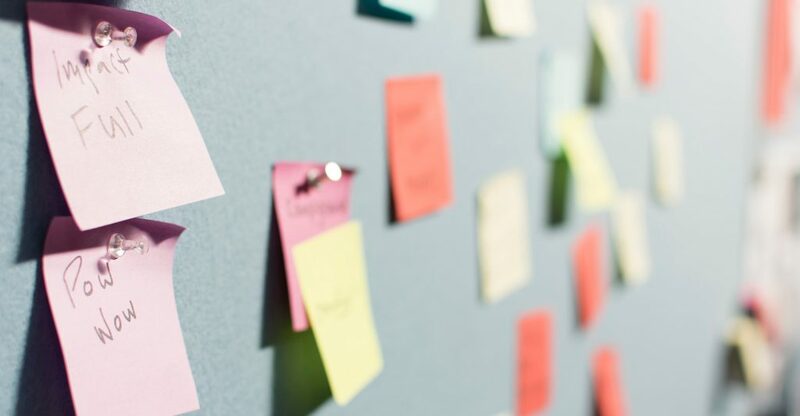 Rob Sweeney (Senior Director of Product Management) captured the aspirations of the audience exploring the drivers and opportunities that create the need for order management. Two further presentations covering Migrations to Magento 2 and Magento Enterprise Cloud Edition fuelled the morning break conversations while we managed to hydrate ourselves and mentally prepare for Strategies for Successful Customer Engagement & Business Growth, an engaging discussion with Ben Presley (VP of Customer Success & Professional Services at Magento), Alex Barbier (Digital Marketing Director at Oliver Sweeney) Tom Lodge (eCommerce Director at Links of London) and Rowan Luckie (Head of eCommerce at Radley & Co). In the order of food, drinks and conversation we were energised for the final afternoon of talks. Three 30 minute sessions covering Customer Success Stories, Data-Driven Messaging and Preserving Your Conversion Rate were so packed with details we felt like the information was downloaded to our brain Matrix-style before wandering into Winning with Omnichannel Retailing thinking what just happened, I now have this immense knowledge and power. The final General Session saw the likes of Steve Yankovich (CPO at Magento), Michael Sonier (Head of Omnichannel Products at Magento) and Paul Boisvert (VP of Product Management at Magento) enter the stage accompanied with a short burst of loud music, to enlighten the audience with some outstanding Magento achievements. We mentioned before the partnership with Meet Magento (queue polite British applause and not American-style rapture of cheers and whistles) and Paul Boisvert announced that Magento 2.1 will be released this week (w/c June 20th). Steve Yankovich spoke of autonomous cars allowing for more time to shop and outlined their ambitions to meet the demands of the millennials who will be shopping with voice commands instead of clicking buttons. It’s all quite frightening to think that technology is going this way but I’ll correct myself by saying it’s actually exciting. Magento is a community and what Paul Boisvert was actually emphasising is it’s an eco-system, we’re one large team spread over the world and we should help each other to create the best experiences for the user. 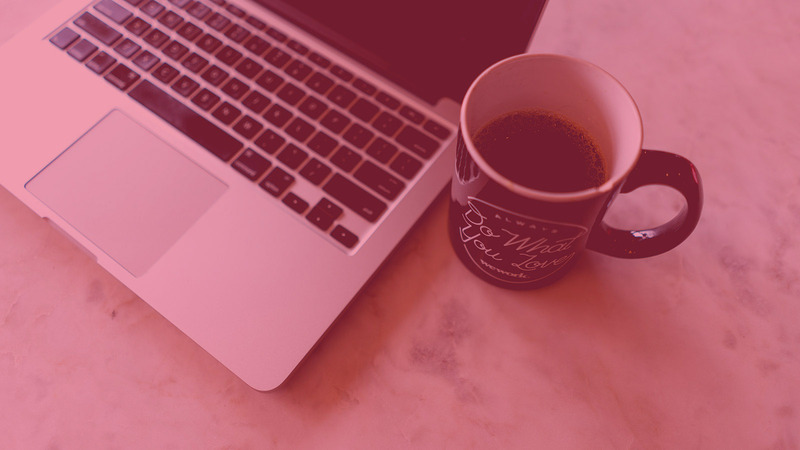 We believe that great technology should be invisible to the user, we’re merely creating the means for them to have the best frictionless experience to buy and engage with their favourite brands. 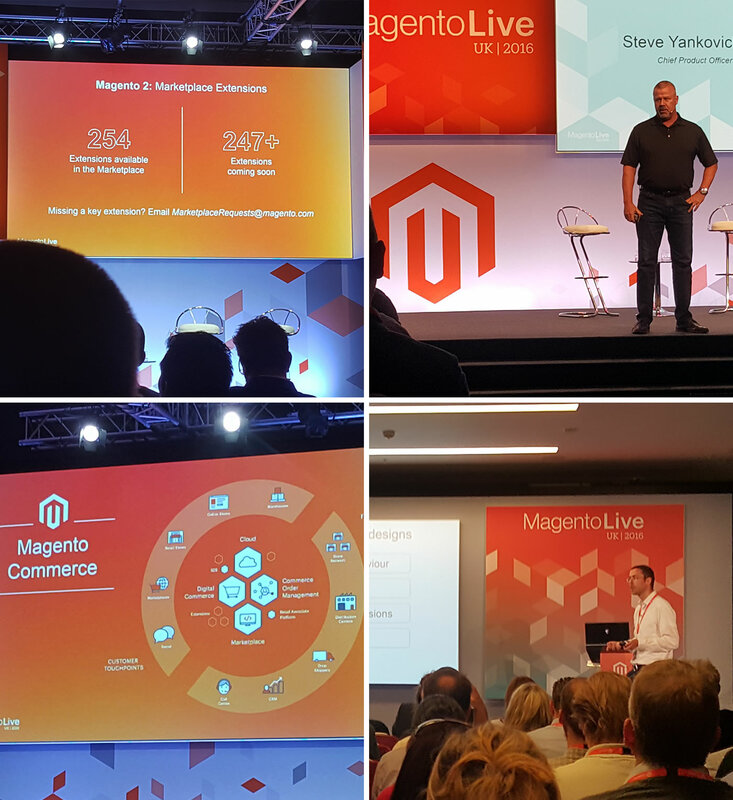 Go to your local Magento Live event, you won’t regret it.